This entry was posted in Public on September 19, 2017 by Ali Owens. I would love to contribute in the making of this event. This is tribal member Tjamel Hamlin II (tribal name) Kitchi Mashquanon of birth year 1989. Both wolf and Mark agreed that I should help run it. Mainly because I just completed my first half marathon and long distance race of my career recently on May 21st. I ran the mystic half marathon for us and our ancestors. I did better than expected time wise. My goal was just to finish and run as strong as I could for us, the earth and all life yuh know? I have aspirations to run professionally and use my earnings to develop our community, our government and our nation’s well being. 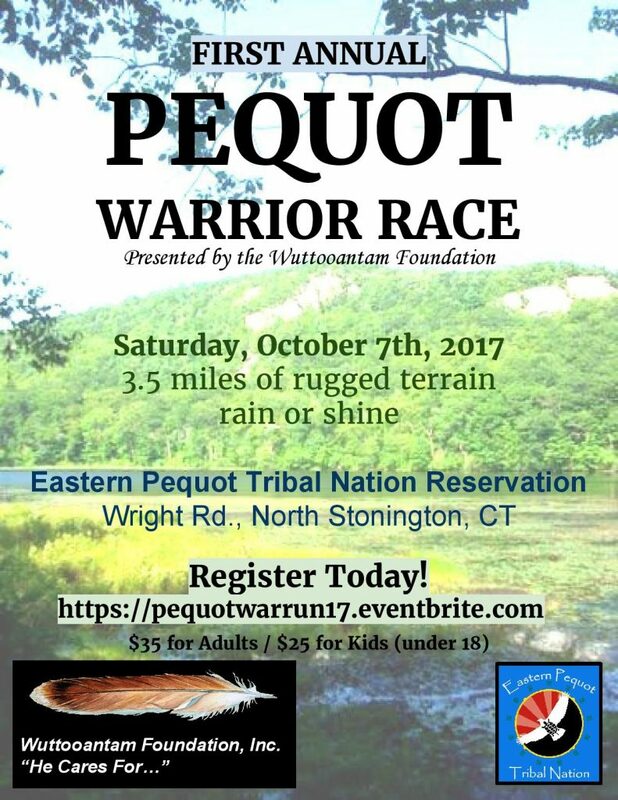 Me as well as Neeze Mataquash (Marcus Sebastian) have made a collaborative effort through music with motivation to communicate our stories as Eastern Pequot Tribal Nation members as well. We have an interesting plan to travel as well on the circuit in addition to the music. It should be interesting and powerful. Thinking about it and sharing it with you all lifts my spirit. Thankh you, Kutaputush.